LORDSTOWN, Ohio (October 9, 2018) – Lordstown Energy Center (LEC), a 940-megawatt, gas-fueled electricity generation plant, announced today that it has begun commercial operation. LEC uses locally sourced natural gas to generate safe, clean and efficient energy that serves approximately 850,000 households. 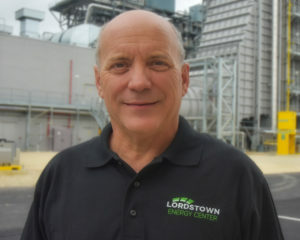 Drew Schneider brings nearly 40 years of energy experience to Lordstown Energy Center. A native of Factoryville, Pa. (near Scranton), he served on a U.S. Navy nuclear power submarine for 20 years with deployments to the Indian Ocean and Mediterranean Sea. After his military career, Schneider held positions of increased leadership at Ontelaunee Energy Center (Leesport, Pa.) and Bridgeport Energy (Bridgeport, Conn.), and most recently served as the plant manager for six years at Kleen Energy Systems in Middletown, Conn.
Drew and his wife, Lisa, relocated from Connecticut to the Mahoning Valley last month. The couple has two grown children, two grandchildren and are expecting twin grandchildren soon. In his spare time, Drew enjoys spending time with his family and boating. He’s been an active supporter of the military, American Cancer Society and first responders in all the communities in which his family has lived. 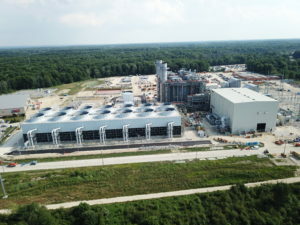 Lordstown Energy Center is a 940-megawatt, combined-cycle natural gas-fueled electricity generation plant located in Lordstown, Ohio. The facility uses locally sourced natural gas to generate enough safe, clean, efficient and reliable power to supply approximately 850,000 homes and businesses. LEC employs 21 people and is expected to provide $13 billion in economic benefit to the local community over 40 years.